This past week, Canadians have been reeling from the news of the tragedy in Saskatchewan. To date, 16 people have died as the result of the horrific accident. Social media has been used to share the stories of the lives lived; the images of survivors clasping hands, banded together through a shared experience; and countless Canadian homes and businesses, with hockey sticks on the front porch. These symbols and images are part of the grieving process. The most widely embraced symbols of grief and mourning began earlier this week, with visitation and funerals for the late players and staff. Canadians will mourn from coast to coast to coast, as details and images of these services are shared. These rituals and the symbolism contained therein are part of our psychological and sociological functions as a society. Coming together in our shared grief. 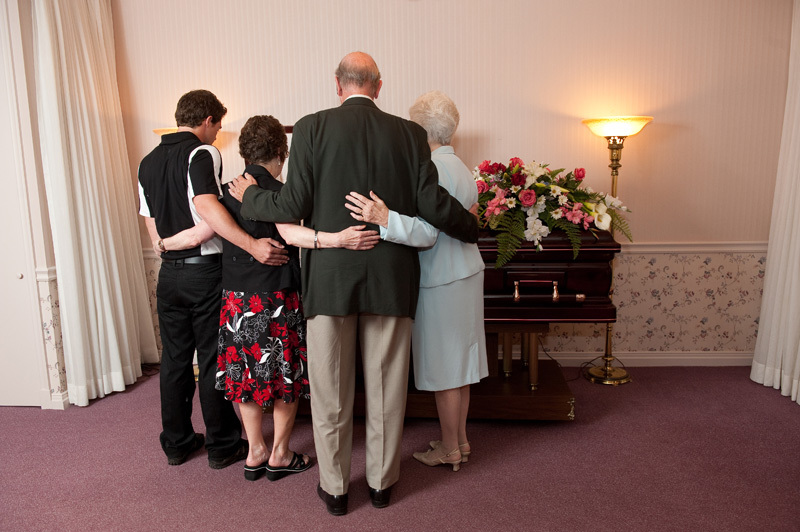 Funerals are important in that they help us acknowledge that a death has occurred. They allow us to come together in our shared grief, to remember the deceased and to comfort one another. A funeral allows us as a broader community to search for meaning. The tragedy in Humboldt, Saskatchewan has left us all feeling very tender and raw. For those of us on the periphery, we can already start to see meaning. The death of 21-year-old Logan Boulet, who signed an organ donor card just weeks before the accident, has not been in vain. Through his donation, it is expected that he has saved six lives. Due to Logan’s selfless act, we have even witnessed a spike in organ donor registration on P.E.I. – some 6500 miles across the country. 18-year-old survivor Ryan Straschnitzki, has already indicated that he views his survival as a second chance from God; an opportunity to do his part to improve the world in whatever way he can. He plans to continue to play hockey despite his injuries, telling his father “Dad, Olympic sledge hockey. I’ll get us the gold”. Perhaps the most poignant statement was his comment about the death of his teammates: “We’re not alone here. I mean the teammates that we lost, our bond is so strong that we’ll always be together.” The power of these continuing bonds, weaved through sport, comradery and the family built by the team, will carry the survivors and the nation forward. and our funeral service colleagues in our thoughts.